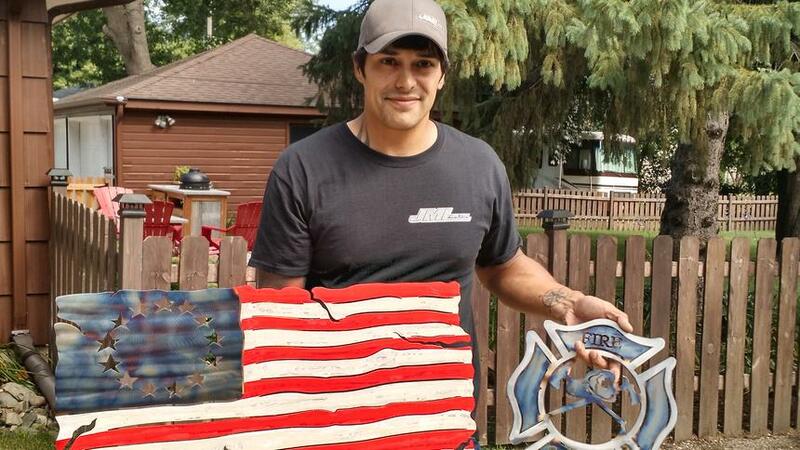 Solid steel, cut, scorched by fire and shaped into an American flag. In a way, Ryan Courtney’s art is a reflection of himself. A soldier in the Navy and Army National Guard, he’s been battle tested, battle-scarred and scorched by PTSD. But using art, he has found a way to let his patriotism and compassion for humanity shine once again.